Reading through the Silmarillion, it was impossible for me not to notice that many of the animosities taking place in the universe of Middle-earth happen because of prejudices between the races. It was also impossible for me to note that the descriptions of evil or corruption were all referred to as dark or dark-skinned: dark lord, dark Numenorean, dark times, as well as the descriptions of the Easterlings and the land they came from. These observations may be more noticeable to me than other Tolkien fans because of my experiences as a Black man, but, despite that, I don’t think that Tolkien was a racist. So please don’t go thinking that this is going to be some complaint about the author being racist. 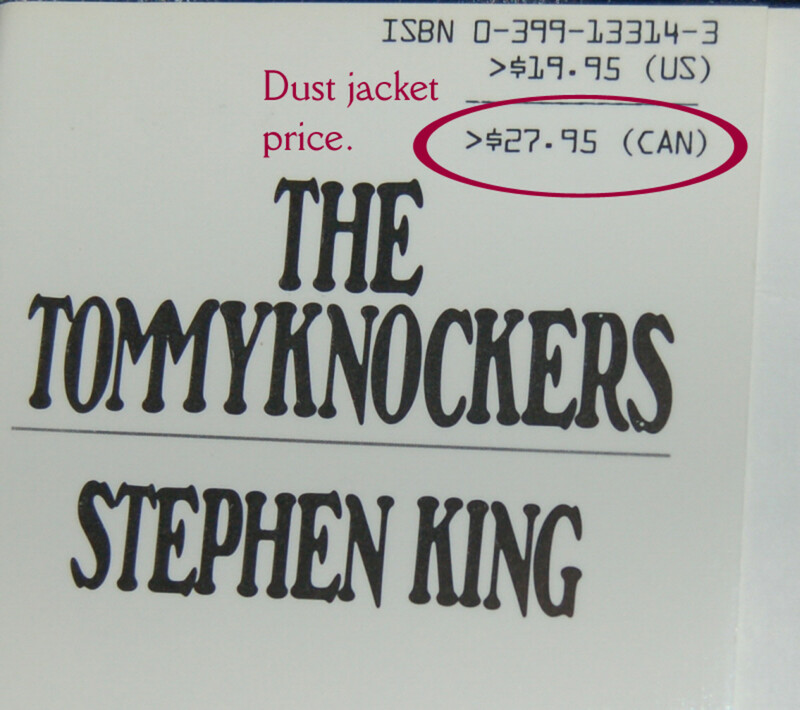 I also don't believe he was addressing the issue of racism when he wrote his books. However, all great art always speaks in a different voice to different audiences based on the experiences and lenses they bring to it. I thought I’d explore the nature of these fictional prejudices from an in-universe perspective, and, then, maybe see if they perhaps transcended Tolkien’s original purposes by indirectly speaking to real world realities. Let’s start with the Elves. Both in the movies and in the Silmarillion, elves are depicted and treated by most other races as the definition of perfection. You don’t hear about any physical deformities or natural diseases afflicting them. They age very slowly and then at some point seem to stop aging when they reach full physical maturity. They move with fluidity and grace and seem to have an inborn talent for magic. This also apparently made them vulnerable to a superiority complex, even among their own race. Before the count of ages in Middle-earth, the elves were created in Middle-earth and then brought to the west of the world, Valinor, by the ruling spirits known as the Valar. Not all of them choose to complete the journey, with many choosing to remain in east of the world. 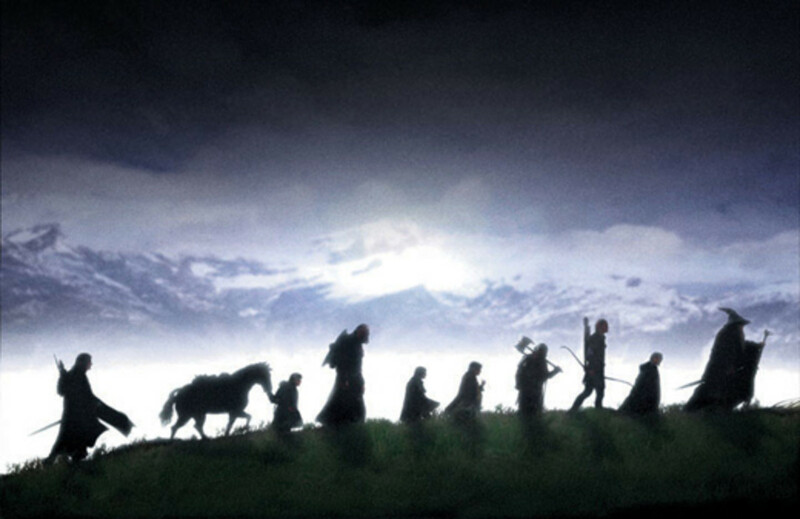 Those who did make the journey though increased in wisdom and physicality because of the eternal nature of Valinor. In contrast, the remaining elves’ wisdom and knowledge increased but not to the level of their migrated kin. This division came to be defined as the high elves of the west and the dark elves of Middle-earth. 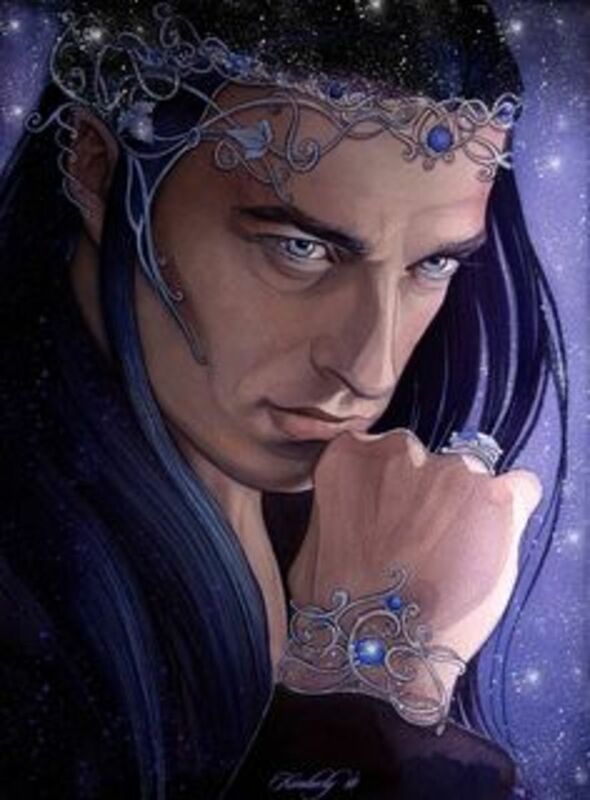 When the Noldor, a high elf clan, returns to Middle-earth much later, many look down upon the dark elves as inferior. Their beauty is not as their own that had basked in the light of the divine powers. Their education was subpar to the teachings received from the Valar and their innate powers of being were also lesser because of their lack of knowledge. Noldor elves who held this prejudice therefore believed themselves superior to dark elves and that they should be subservient to them. Fortunately this was a view not held by all of the clan. The discord however was returned by many of the dark elves as well. While they may not have acquired the lore and wisdom of the divine powers, the dark elves did learn much of the workings and nature of Middle-earth and that wisdom surpassed the foreigner’s wisdom. That many of the returning elves seem to disregard this was considered insulting and overly proud. And what do people do when they’re disrespected? More over, many dark elves regarded the high elves as intruders and a foreshadowing of doom because of the change they brought with them. Before their arrival there was no sun or moon and everything was under starlight. However the new light coincided with the Noldor’s arrival and many dark elves held them responsible for changing their world. If a prejudiced existed between the elves though, then there was definitely prejudice towards the other races: dwarves and humans. The dwarves in particular were not well liked. Encountered long before humans and initially by the dark elves, they were regarded as not as beautiful to look at, too short, and their language was ugly and sloppy. This view was shared by the high elves as well, but it soon became apparent that they were not unintelligent beasts, being good at trade and formidable warriors as well. The dwarves in fact could be regarded arguably as the best warriors in Middle-earth because their war-like nature made them stubborn and their weapons and craftsmanship were second only to the high elves themselves and even then not by much. During the early years of the First Age, when orcs had invaded the land of Beleriand, many of the dark elves fell back, but the dwarves held their own. And during the disastrous campaign of Nirnaeth Arnoediad, it was the dwarves who withstood dragon fire and defeated the near unstoppable dragon, Glaurung. These qualities were begrudgingly recognized by both dark and high elves and therefore make alliances with the dwarves, but it was not out of mutual respect. Therefore whenever they mocked or insulted the dwarves, they were often referred to as the ‘stunted people’. During the Second Age the remaining Noldor elves did form a friendship with the Dwarves of Khazad Dum, but those relations ended when the final, Noldor realm of Eregion fell to Sauron. The rest of the elven kingdoms still mistrusted dwarves or kept their distance. The elves’ most simple and pure hatred though is given to the orcs. The irony of this is that you could argue that it could count as hatred of their own kind, since the orcs are descended from captive elves that were tortured and corrupted by Morgoth in the First Age. Being corrupted and given to Morgoth’s hate for all things not of his own making, the orcs are always hostile towards their pure kin. The elves see this as such a horrible abomination that they kill all orcs on sight. They often fuse it with a black and white view of good and evil and it’s truthfully not that hard to do. However there is no hiding their spite for the orcs’ very existence. Their evil just makes it easier. There is never any treaty made or attempt to restore them made by the elves and their hatred is ironically, second only to that of the dwarves for the race. It is even said that the Battle of Five Armies begins when the elves start the opening blows of the conflicts, driven by their hate. This maybe the only occasion where one might accuse all elves of malice, but if it is, it is with good reason. The two races have waged unending war for centuries and orcs bear most of the responsibility for all elves’ suffering in Middle-earth. There’s nothing more to it than that: a simple reason for an extreme reaction. As far as humans go, there was a mixed reaction. While being similar in appearance and intelligence, their mortality was something the elves regarded as strange and abnormal. Their perspectives of time were entirely different as the lifetime of a human was the equivalent to about a month or year to an immortal elf. Humans also seemed more corruptible in their morality, though by now the elves had well established they could be just as corrupt as well. Humans though were easier to turn and easier to become afraid. When it came to slurs, the elves had a whole list of them for the mortals: the inscrutable, night-fearers, heavy-handed, unhappy, and base-born. All of these speak to how alien humanity appeared to the elves and many looked down upon them because of it. They seemed to find no balance or rest in the world. That being said though, most of the elves still seem to respect men, even if they did not understand them, and they were given more grace than was given to the dwarves. This is even more apparent as by the Second Age, there are no more recorded use of human slurs by the elves. And though their experience of time still divided them, they ally themselves with humanity on several occasions through out the Second and Third Ages. Men were regarded as equals in physicality, but were still kept at a distance and except on chance or times of war or matters of high importance did humans ever see an elf in person. So ultimately, elven prejudice was rooted in their aloofness of both being and choice. Prejudice among the dwarves differs from those of the other races because much of it almost seems rooted in an inferiority complex. Dwarven culture is as advanced, if not more so than any other civilization east of Valinor. Their structures are mammoth in scale, their weapons quality top quality, were feared in war, and respected by all other races, if for only these accomplishments alone. These achievements belie their smaller, physical stature, being shorter than elves and humans and just a bit taller than hobbits. However what they lack in height they make up for in determination and strength. Both darklords, Morgoth and Sauron have great difficulty handling the race as Morgoth never once assaults their strongholds during the First Age and Sauron cannot corrupt them during the Second and Third Ages as he did with humans. With all these commendations you would think dwarves have nothing to prove. Their prejudice is mostly directed at the elven race as a whole. Ever since their first meeting during the First Age, there seems to have been animosity between them of both races’ making. While the elves regarded them as ugly and unappealing, the dwarves regarded elves as snobbish, pretty boys who put their culture down. Moreover, the dwarves were very secretive about their culture, not teaching any of its workings to most people they encountered. In the history between the two races, only two elves seem to have learned the language which like the race themselves, is difficult to understand. 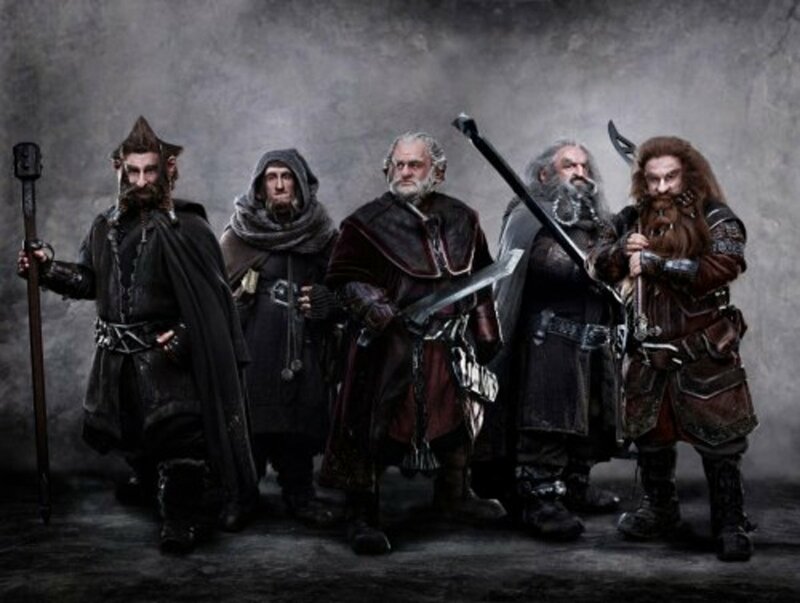 During the First Age, the dwarves trade with the elves and ally themselves to them only in times of war against the orcs. But as the Noldor are defeated, this alliance falls apart, culminating in the fall of the elven kingdom of Doriath after Dwarven craftsmen murder King Thingol. During the Second Age this somewhat improves with the relations between Khazad Dum and Eregion. They also fight against Sauron and are part of the last alliance at the era’s conclusion. Despite these alliances, there is still animosity between them and the dark elves. 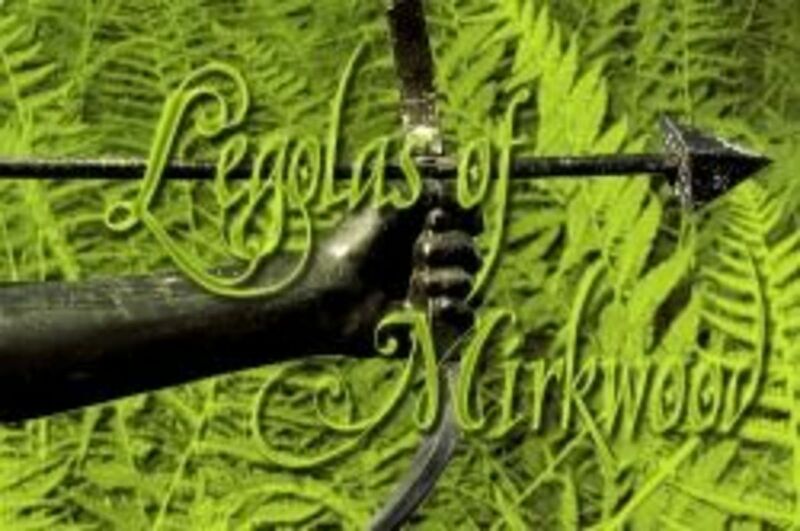 Towards the end of the Third Age, they are regarded by the elves and many humans as greedy and self-centered. Though it’s from the Hobbit movies, I find no better example of this spite than during the confrontation between Dain and Thranduil at the Lonely Mountain, who hurl racial insults at each other before engaging in a short, but violent skirmish. It is also said that Dwarves had a long-standing grudge with the human population of Rohan for an insult made by one of their ancient kings, Fram. Even though it’s said that they killed him for the insult, it is still remembered by the Dwarves long afterwards. The dwarves have a special place of hate in their hearts though for Orcs. While it is true that none of the other races of Middle-earth liked them, the Dwarves held a long standing fury that was taken to extremes. In the Third Age, the exiled king, Thror was murdered at the doors of the now-fallen Khazad Dum by resident orcs there. They defiled his body and sent his companion away in shame. So enraged were the dwarves by this that dwarven clans from all over Middle-earth gather in the Misty Mountains and engage the orcs in a decade-long campaign of mutual genocide. It was a race war in Middle-earth. Though most only heard rumors of the conflict since it mostly occurred inside the mountains, what they did hear was so horrible that it made all who heard them shudder at the tales. In the end ,the dwarves cleared out the Misty Mountains and the orc population that was there were either dead or retreated far off elsewhere. This war is the greatest demonstration of not only how far dwarven racism can go, but in Middle-earth as a whole. No other race had engaged in such a systematic extermination of another and for this universe, even the orcs and that was saying a lot! Bottom line is that the Dwarven prejudice comes from being disrespected and how much they hate you depends on the severity of your insult. They are proud of their culture and will absolutely not tolerate anybody putting it down and will remember the grievance if they do so: orcs, humans, or elves. Orc prejudice is as simple as the animosity that the elves bear them: they hate everything other because the other exists. 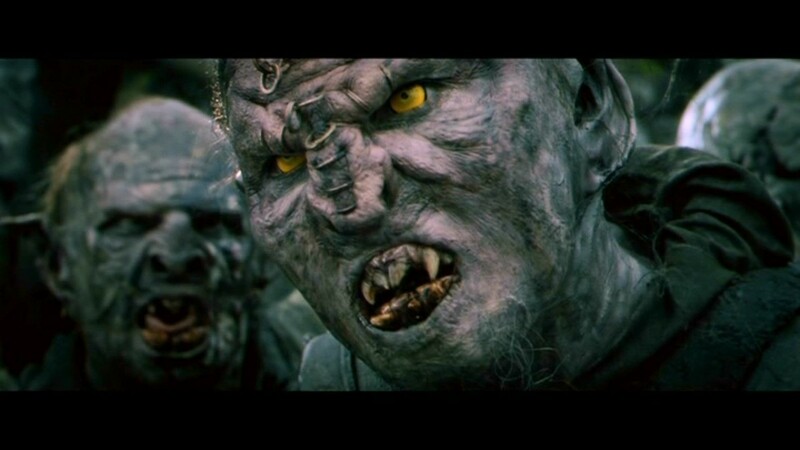 The first generation of orcs were originally elves that were captured by Morgoth. Morgoth, driven by a incessant need to control everything and make things himself, hates the elves because they more than anything else remind him of his limitations. 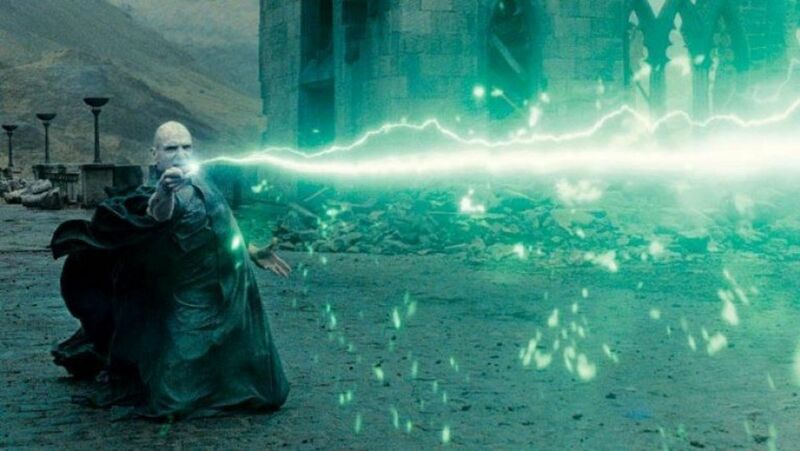 By corrupting these representations both body and soul, the Valar imparts his own hatred of all things into them and the orcs continue this trend. This racist view takes different extremes depending on the race theyre dealing with. Elves they will gladly kill, but will also make them slaves. Dwarves they will straight up kill and this was taken to the extreme during the Third Age when they fought an underground war with them in the Misty Mountains. But perhaps they’re greatest spite is for humans. Like dwarves, orcs will also kill humans on sight. Unlike elves and dwarves however, orcs also will eat humans. This shows not only a contempt for the species, but an acknowledgement that they are little more than animals to them. The hate of the orc race never changes or evolves over the ages and remains as pure as the elves hatred for them. Perhaps that is a ancient piece of their original, elven spirit now corrupt. So to put it bluntly, orcs hate everyone else because they exist and for no other reason. Human prejudice is some ways simpler and in other ways more nuanced than the previous races. In the Silmarillion, there are no stories of any prejudice towards elves or dwarves. The Haladin, a sub-culture of the race living during the First Age come closest by being very reclusive, but this is because they like to be left lone rather than any hatred for others. During the Second Age and the rule of Numenor is when humans start displaying a their own prejudice. Numenor was an island created for the survivors of the First Age by the Valar, and the people that evolved their came to be known as the most advanced race of humanity to have ever existed in Middle-earth. That by itself could spark racist attitudes, but initially they use their superior knowledge to aid in rebuilding the world and teaching other peoples’ to improve their lives. However the Numenoreans still segregated themselves from those they called, ‘middle men’. The Numenoreans had their lifetimes extended more than the average human, though still mortal. They were known for being taller and stronger as well. Therefore there was a desire to keep the race pure, though not initially out of malice. This was also because they had an urge to go west where the Valar dwelled, but were forbidden to do so. The Numenoreans’ good intentions though change as the desire to be immortal increases with each generation until finally consuming them. This leads to an envy of the high elves, who would often visit the island from the west, as well as those still living in Middle-earth. The elves report this to the Valar and messengers are sent to dissuade the powerful Numenoreans from pursuing their envy any further. 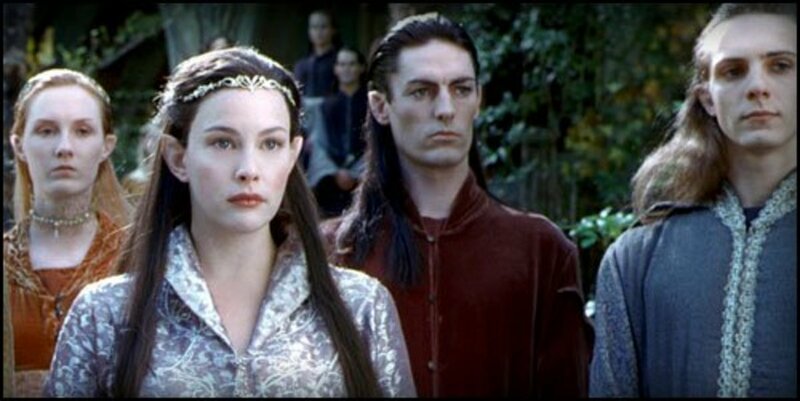 However, warning the Valar leads to a distrust of all elves by most of the people, who now began to see them as spies. Worst, envy devolves into bitterness and the race grows to despise the elves as reminders of what they want but cannot have. It is this state of hate that Sauron then arrives in Numenor as their captive, since no one can withstand them in war. Their jealousy makes it all the easier to corrupt them to openly going to war against the Valar and leads to their destruction. The only survivors are those loyal who fled beforehand as well as the Numenoreans that were already living in Middle-earth at this time, both good and evil. This extreme lesson makes the survivors, now calling themselves the Dunedain, more determined to preserve their race. The southern kingdom of Gondor takes this the most seriously as it was tradition for them not to marry those of lesser race, especially the nobility. This was driven by both racial pride and fear that by intermarrying, they would defile themselves and become lesser as well. This prejudice eventually causes a civil war when one the kings, Valacar, decides to marry outside their race anyway. Many of the high born nobles of Gondor vehemently oppose this and start the war. By the end of the conflict, the rightful king, Valacar’s son, Eldacar, is restored and many of the fears of the king’s line diminishing prove false initially. But so many Dunedain are killed that the war ended up doing more damage to their race than intermarrying. Overtime, many Dunedain do intermarry, though whether this was out of necessity or love I can’t say. As a result the lifespan does start to grow shorter, though this was also attributed to the gift of long life being slowly withdrawn from humanity as well. Though humans have fought among themselves during the Third Age, most of this was due more to political allegiances rather than racial status. For example, Easterlings and Haradrim hated Gondor because of their own allegiance to Sauron. So because humanity was more of spectrum than other races in Middle-earth, their prejudices were reflected this broad range as well and was not always as easy to pin down. As I said before, I don’t think racism was an issue Tolkien was trying to address, but he did seem to include reflections of it’s characteristics in his universe. A lot of the hate that occurs happens because the individual cultures’ lack of contact with each other. From decades to countless ages, some of these civilizations don’t have anything to do with each other until forced into contact or alliance by greater power or circumstance. Because they look and behave so strangely to each others’ sensitivities for that first time, animosities emerge. They also seem to arise because of pride in each their own cultures. The races use their accomplishments as benchmarks by which they judge other races, rather than regarding them as equals with different accomplishments than their own. Some of these same patterns are seen today, particularly how isolating ourselves leads to misunderstanding of others’ motives and issues. Knowledge abhors a vacuum and if there is a lack of incoming information then the mind will fill that space with its own ideas. Bad experiences with each other can also create patterns of hate and mistrust that make working together in the future difficult as is seen in America dealing with the challenge of racism. The one major difference between Middle-earth and real Earth is that we don’t have the luxury to exist in our own separate kingdoms anymore. Where as in Middle-earth, individual cultures could more or less afford to mind their own business and come together only at times of great need, we are forced together at all times in one way or another. This creates circumstances for bad experiences and conflict to occur much more frequently. That’s how I see the issue of prejudice in Middle-earth and how it relates to the real world. 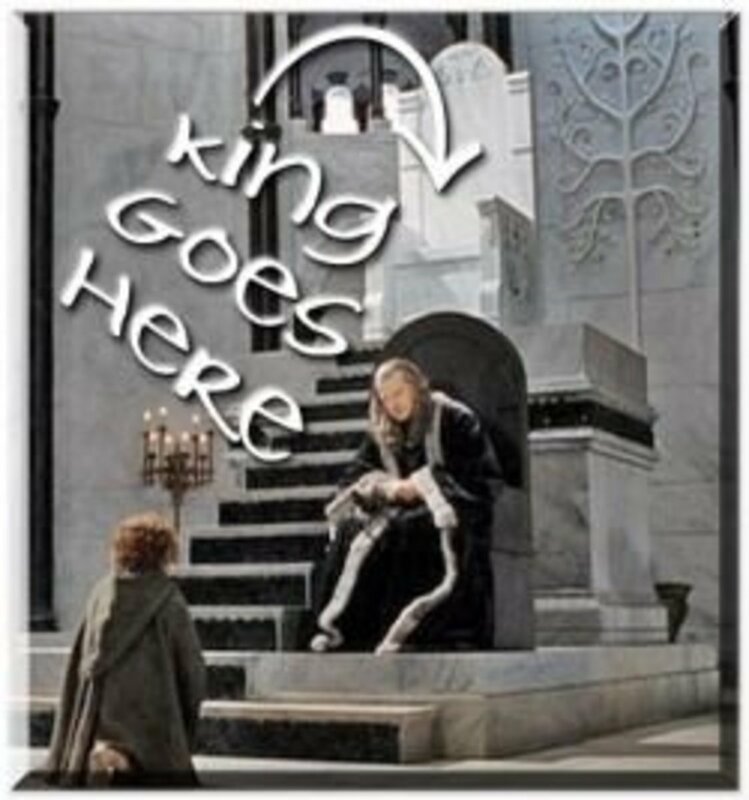 Aragorn: Heir to Gondor's Throne or Not?